Superstar comics and storyboard artist Steve Skroce (WE STAND ON GUARD, Wolverine) will take on both writing and art duties in his all-new, totally irreverent and fantastical action-comedy MAESTROS this October from Image Comics. The Maestro and his entire royal family have been murdered. Now, his banished son from Earth will inherit the Wizard King's throne along with a spell that turns its user into GOD. With enemies everywhere, will this Orlando-born millennial be able to keep his new magic kingdom? 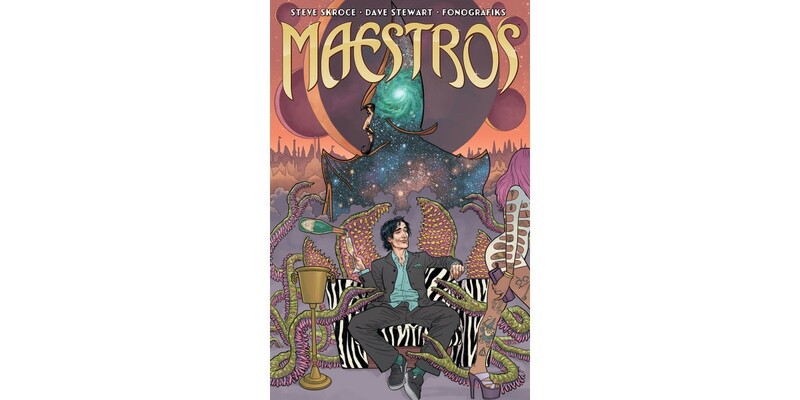 MAESTROS #1 (Diamond code: AUG170542) arrives in comic book stores Wednesday, October 18th. The final order cutoff deadline for comics retailers is Monday, September 25th. “Steve Skroce continues to amaze and inspire me. He pushes himself and the medium of comics past the four-color and into the technicolor. There is a Maestro behind MAESTROS and I can’t wait for the world to see the concerto he has orchestrated for us all.